Millenio! 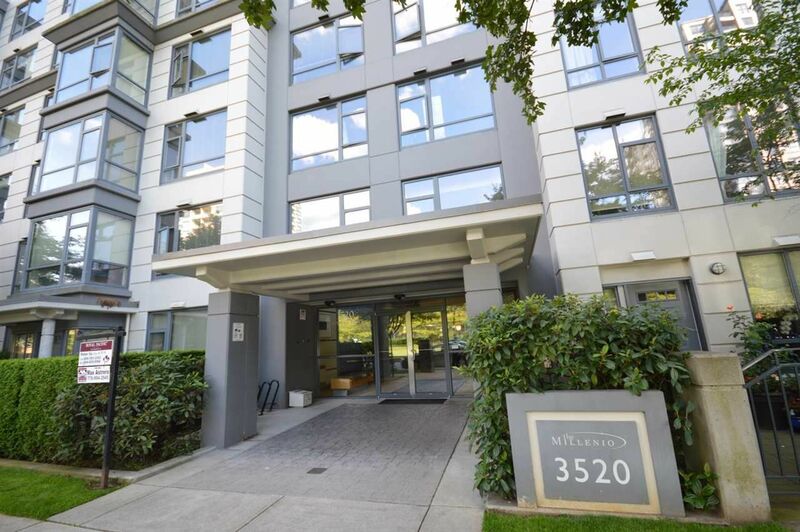 Unobstructed Views of North Shore mountains from this Bright and spacious 2 bdrm / 2 full bath corner unit with north facing balcony. Very well kept & clean with laminate and vinyl flooring thru out. Nice layout with separated bedrooms. Short walk to Skytrain & shopping. Very well maintained Bosa built building. Extra large & Perfectly located parking space plus 1 storage locker.